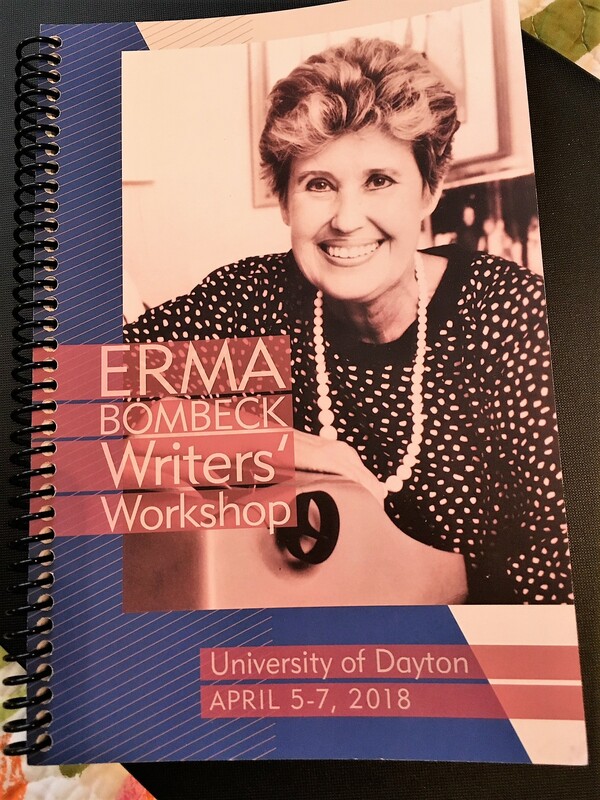 I just returned from a weekend of laughter, inspiration, education, and a tad bit of humiliation at the 2018 Erma Bombeck Writers’ Workshop. There were seven workshops spread over two days. Each time slot had multiple classes from which to choose. Narrowing down which to attend was like Sophie’s Choice. I made my choices though, several times. My decisions were based on what the workshop topic would be, as I’m not good at remembering the names of the speakers/authors. Last year in January, I noticed some of the blogs I was reading offered a list of books that the author had read in the prior year. I found the lists interesting and motivating, as well as a little intimidating. There are some voracious readers out there! I decided I would keep my own list in 2012 and share it with you. Disclaimer: I think this is the entire list. Sometimes I forget to write things down. I can only hope that I forgot to include a couple of books that would feed my spiritual side or my marriage, but, who am I kidding. I don’t think there were any. On my 2013 list there will be. Lunatics by Dave Barry – I started the year out with humor. As I have mentioned in my blog before, I love Dave Barry. Every time he writes a new book it goes to the top of my must-read list. This book, though, was very disappointing for me. I cannot even recommend it. I did read it all the way through, but that was based on the combination of my love for Dave’s writing and my hope that it would get better. It had its moments, but it was too crude for my taste. I should have known by the title that I would go a little crazy finishing it. Forever Erma by Erma Bombeck – This collection of Erma’s best columns was a sheer delight to read. I laughed. I cried. I read a lot of it aloud to my husband (Bob). Oh, Erma, how I miss you! The Hunger Games by Suzanne Collins – I had to know what all the fuss was about. My daughter and husband had both read the book and raved about it. The movie was coming out. I succumbed to the pressure. During the first third of the book you could hear me saying things like, “This is awful!” or “How can they do this?” or “This is disturbing!” Yet, I was compelled to finish this well-written story and did before the movie was released, which was my goal. Catching Fire by Suzanne Collins – The first book was so good that I had to read this one. It was a respectable sequel to The Hunger Games – an enjoyable read. Mockingjay by Suzanne Collins – I was committed to finish the series. Unfortunately, in my opinion, the finale was lacking in comparison to its predecessors. Manhunt, The 12 Day Chase for Lincoln’s Killer by James Swanson – Easily the most gripping book I read last year. How Mr. Swanson could cover those 12 days in the life of so many different characters was beyond explanation. I felt like I was watching a play with scene changes. It was tremendous. The Limpopo Academy of Private Detection by Alexander McCall Smith – This is the 13th offering in my favorite book series, The Number One Ladies Detective Agency. It is set in modern-day Botswana. I am amazed at the how each book in this charming series gets better than the one before it. You are a Writer (So Start Acting Like One) by Jeff Goins – I am thankful that I read this book. At least there is one on my list that helped me in my craft! Ivy and Bean by Annie Barrows and Sophie Blackall – I read this book to Mia and Ella (my granddaughters who are 9 and 7). We all enjoyed the relationship of the title characters who have nothing in common except the street they live on, yet become best friends. The Great Cake Mystery by Alexander McCall Smith – I was thrilled to see a children’s book based on the main character of the Ladies Detective Agency. This shows her early inclinations to solve mysteries. My granddaughters and I loved it. Through the Eyes of Grace by Debi Gray Walter – This is the premier book written by my wonderful friend, Debi. It was a privilege to walk with Debi as she wrote the book and discuss it with her as it progressed. The finished product is a wonderful tribute to her grandmother, but even more it’s a story of God’s grace and an encouragement to get to know the older generations in one’s family. The Deepest Waters by Dan Walsh – This is the second book of Dan’s that I have read. It is a totally captivating love story featuring a shipwreck. My husband and I both enjoyed it immensely. Major Pettigrew’s Last Stand by Helen Simonson – Set in England, Major Pettigrew is a very proper older man who discovers friendship and love in an unusual way. The New York Times compared Simonson with McCall Smith, so I had to give this a try. I do see some similarities and I enjoyed the unfolding of the story and its very satisfying ending. Curiosity Killed the Cat Sitter by Blaize Clement – While on vacation, Bob and I stopped in a cute little book store in Sarasota. As I perused the section devoted to local authors, I came upon this book. The title reeled me right in. I did enjoy the book up until the last few chapters, which were too graphic for me; and, therefore, like Dave Barry’s Lunacy, I can’t recommend it. The Best Christmas Pageant Ever by Barbara Robinson – This is another book I read to my granddaughters. Hearing them laugh like crazy and then quote the book back to their parents was more than rewarding. All I can say is, I don’t care how old you are, if you haven’t read this book, read it. It’s a hoot and a holler with a great message. The Hobbit by J.R.R. Tolkien – Finally, I read something by Tolkien. I was embraced by his lovely story telling from the very first chapter. When my kids were reading this book I was too busy driving them every place imaginable, doing laundry and cooking dinner to do much reading. At that point, every time I sat down with a book I ended up taking an impromptu nap. When they released the trailer for this movie, I determined to read the book before seeing it. Mission accomplished. Both the book and the movie were great. I’d love to hear what you are reading. Please share in the comments section.